Our Oil is from Kagoshima - 1134 km (straight line) from Fukushima. As much as we know, there are different kinds of Camellia Oil in the market. Please google to verify. This page is for sharing only. 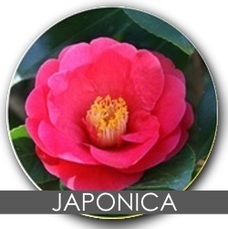 Camellia Oil has been used for centuries for beauty of skin and hair in China and Japan. Geishas of Kyoto used to moisturize their skin and hair with tsubaki oil. **Samurais wiped their swards with camellia oil to protect it from rusting and corrosion, which is an early evidence of its excellent antioxidant qualities. Camellia Sinensis is a tea plant, which produces Green and Black teas. Also, the dried young leaves of camellia sinensis are used to make several types of tea, and have a stimulant effect due to the caffeine they contain. Camellia Oleifera - Tea Seed Oil. Camellia oil (In China, also be called as Tea oil / Tea seed oil or Camellia oil / Camellia seed oil was extracted from the rare Camellia oleifera seed of camellia family as 100% pure natural organic products. Camellia (Tsubaki) oil is light enough as daily facial and body moisturizer. Apply 3-4 drops to damp skin for optimal results. Massage gently and thoroughly in circular motion until completely absorbed. Used regularly around the eyes and mouth, Camellia oil softens skin, diminishes small wrinkles, restores damaged skin and protects against age-spots and unwanted pigmentation.